PSA group has confirmed that their first product for the Indian market will be the Citroen C5 Aircross SUV which will be launched in September 2020. 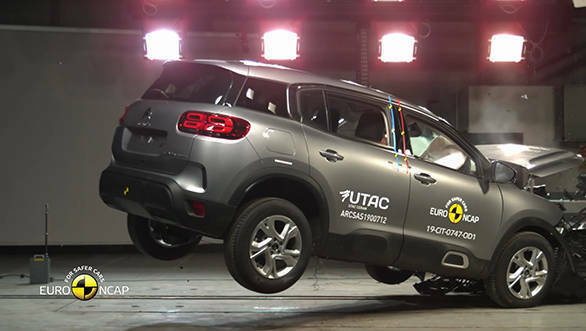 The India-bound SUV underwent the Euro NCAP safety test and scored an overall rating of four out of five. And the Citroen C5 Aircross SUV equipped with the safety pack scored five out of five. The results of the collision test are above satisfactory even without the additional safety pack. 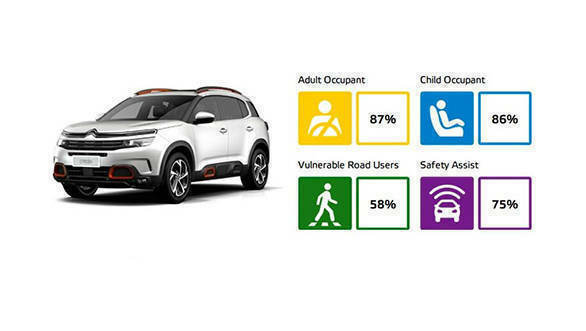 The C5 Aircross SUV scores 87 per cent in Adult occupant and 86 per cent in child occupant. The SUV also gets 58 per cent for pedestrian safety and 75 per cent in safety assist. The PSA Group is entering in partnership with the CK Birla Group. It will launch its first car by the end of 2021. Before this, the production of powertrains will begin. In 2017, the PSA group entered into a partnership with CK Birla Group with two joint agreements. The first one is that the PSA Group will hold a majority share in a joint venture company that is being set up with Hindustan Motor Finance Corporation Limited (HMFCL), a subsidiary of the CK Birla Group. This company will handle the assembly and distribution of PSA's passenger vehicles in India. The second agreement is that the PSA Group and AVTEC Ltd (another subsidiary of the CK Birla Group) will enter a 50-50 joint venture to manufacture and supply powertrains.